LANCASTER DIOCESE AT LADYEWELL SHRINE Great is the goodness of God! 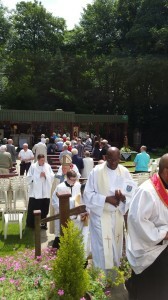 It is yet another remarkable pilgrimage of the Diocese to Ladyewell Shrine. The beauty of this day is seen in the brightness of the day as the Sun shone through the day bringing God’s goodness and smiles to all who attended. Speaking in his homily, the Bishop beautifully explained the symbolism of Water as source of life. As source of life and cleansing, water refreshes and purifies. Spiritually, it symbolises what God gives us: Cleansing and new life through Baptism. Through water, we get spiritual refreshment and cleansing. Water symbolises God’s gift of the Holy Spirit, who quenches our spiritual thirst leading us to deeper knowledge and love of God, the Bishop explained. should help us to deepen and renew baptismal promises and commitment to faith. Gratitude to God who brightened the day with warmth and sunshine! Gratitude to Our Lady of Fernyhalgh and the Lancashire Martyrs for great faith and prayers!! Gratitude to our dear Bishop!! Gratitude to the Priests and Religious in attendance for their time and support. 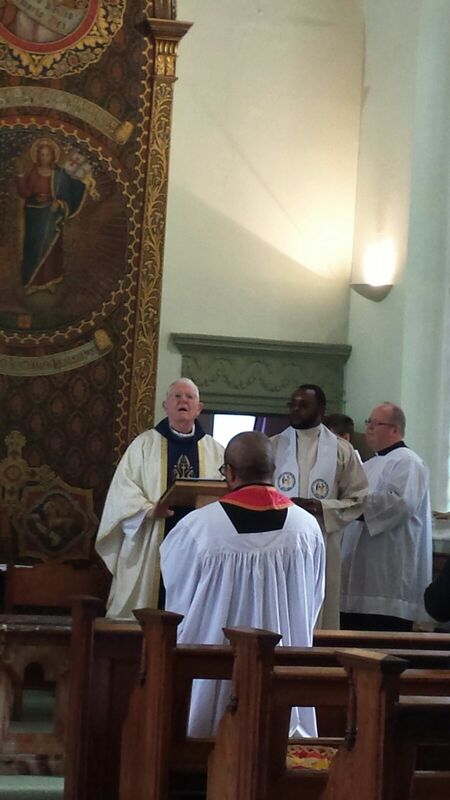 Gratitude to the People of God in Lancaster Diocese. long live Lancaster Diocese. Blessed be the holy and undivided Trinity, now and for ever. Amen.